A tried and true form of storing energy. Devices that store energy, also known as accumulators, come in many forms – water reservoirs, flywheels, or compressed fluid tanks. The use of springs to store energy began in the 15th century and even today are used in many different ways, some common examples include garage doors, solenoids, and check valves. Spring powered stored energy is a simple and reliable approach that works very well in the industrial world. There are many applications where valves or dampers must operate in case of loss of power such as emergency tunnel ventilation, heat exchanger protection, or isolation valves for water containment. 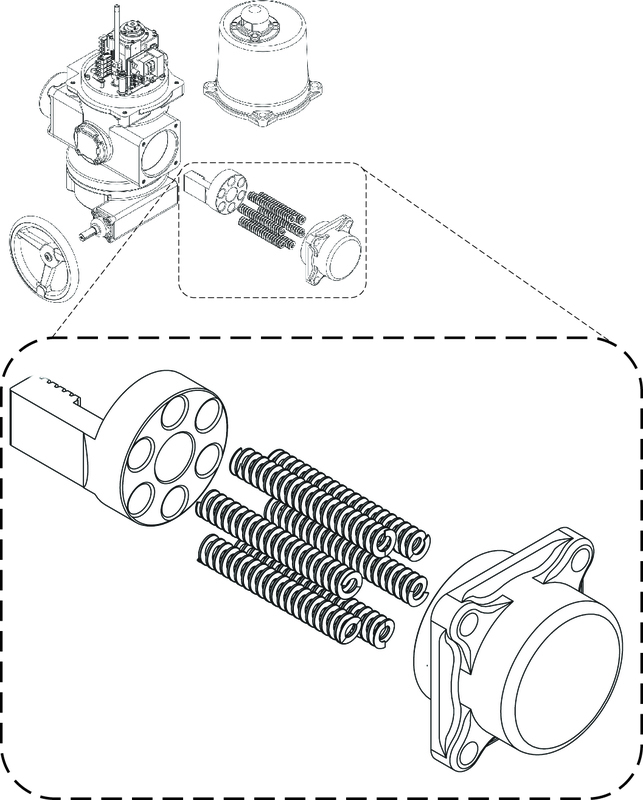 Spring return motorized operators are a proven solution for opening and closing valves upon loss of power. The ProMation PA Series Spring Return electric actuators have been designed for load requirements from 445 in lbs through 2300 in lbs (50Nm though 260Nm) and are robust fail-safe solutions for dampers, air handling louvers, and valves. More information on the applications and operation are found on our website. Application requirements will dictate whether to utilize a CW (clockwise spring return) or CCW (counter-clockwise spring return) model. CW and CCW models are not interchangeable and must be specified at the time of order. Please contact us for solutions to your industrial actuation needs.